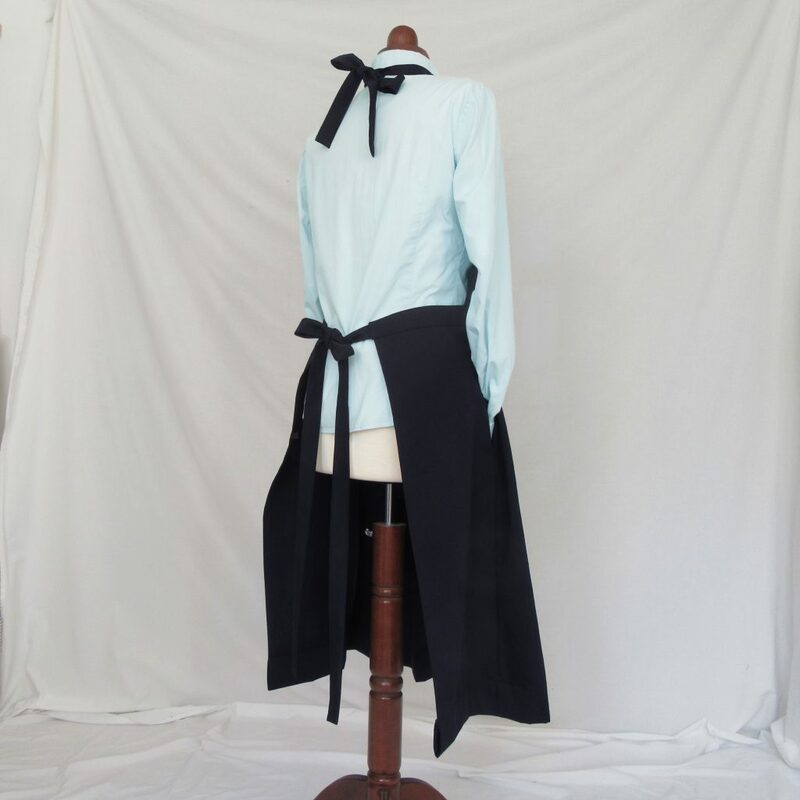 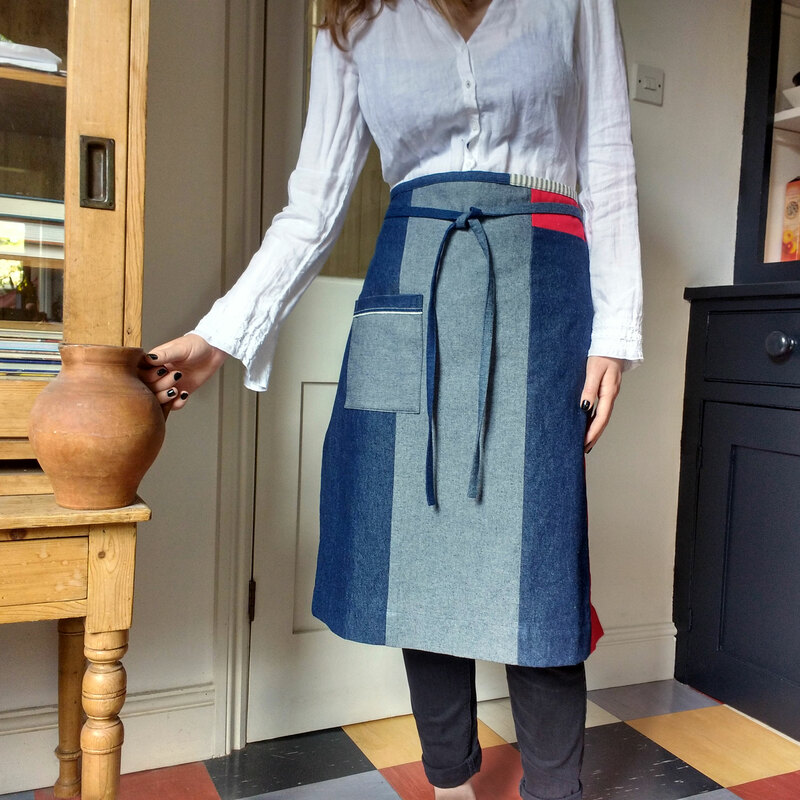 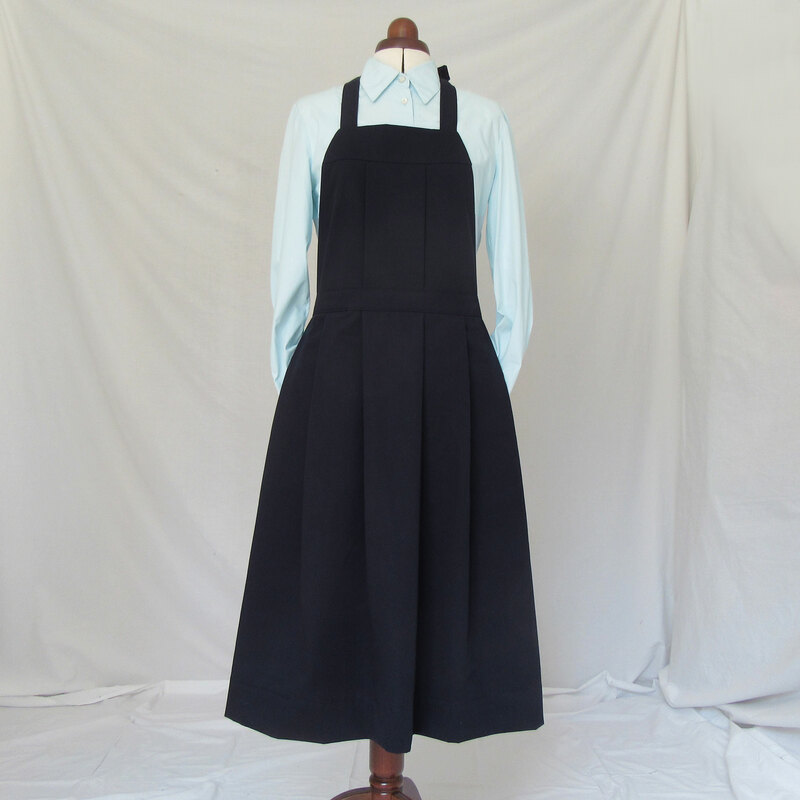 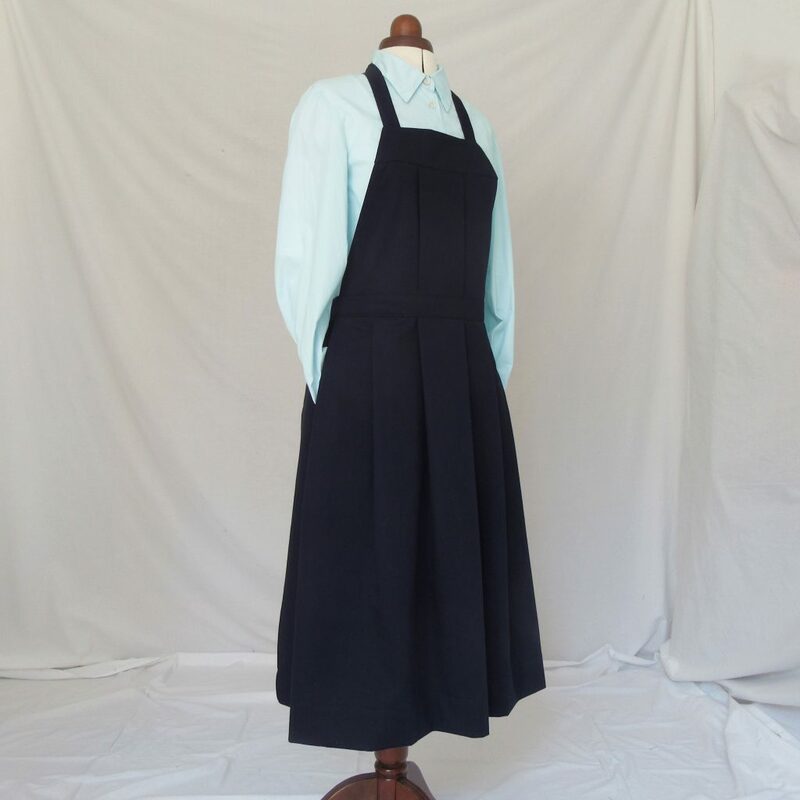 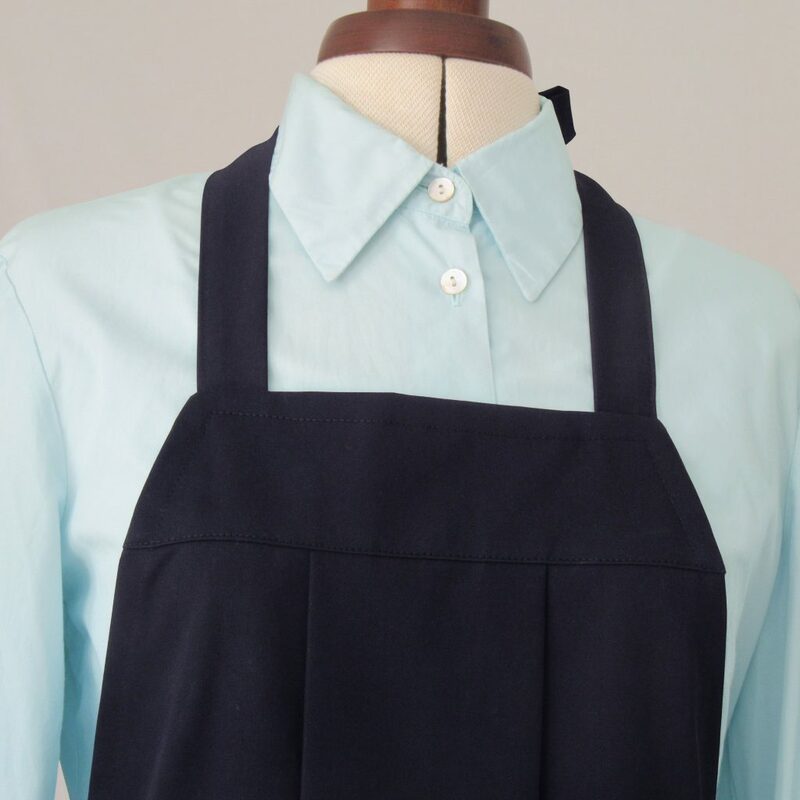 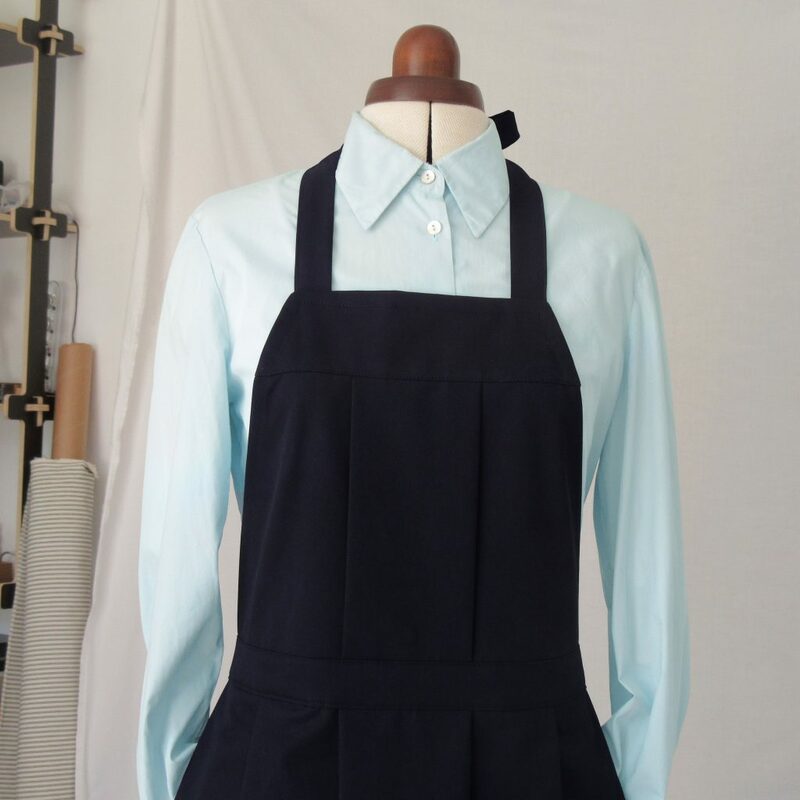 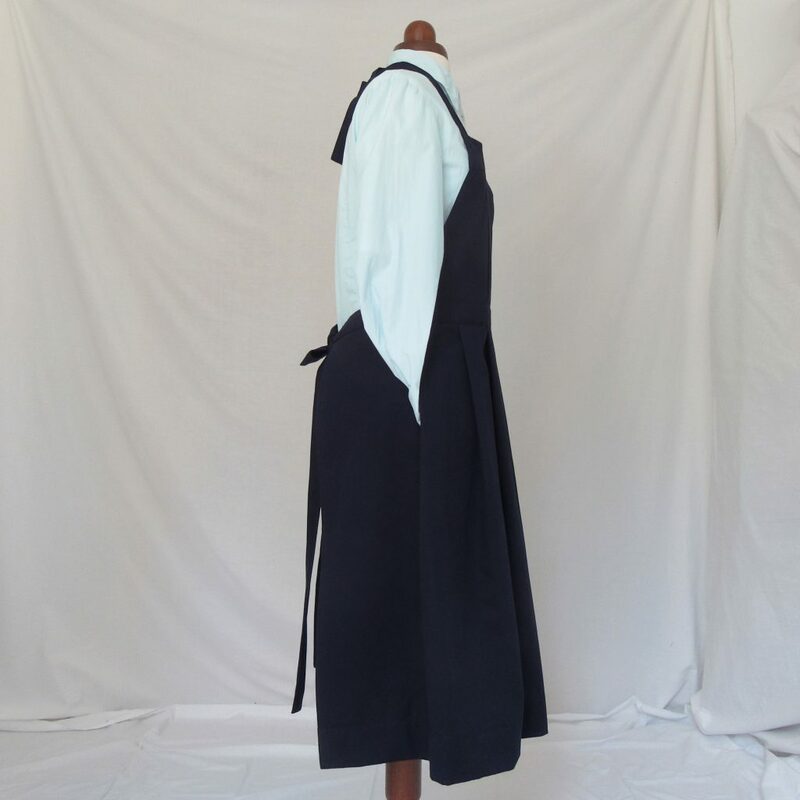 The apron has deep pockets concealed behind the pleated skirt, a box pleat in the bib, adjustable neck ties and long waist ties – the first three in this design are in crisp dark navy twill. 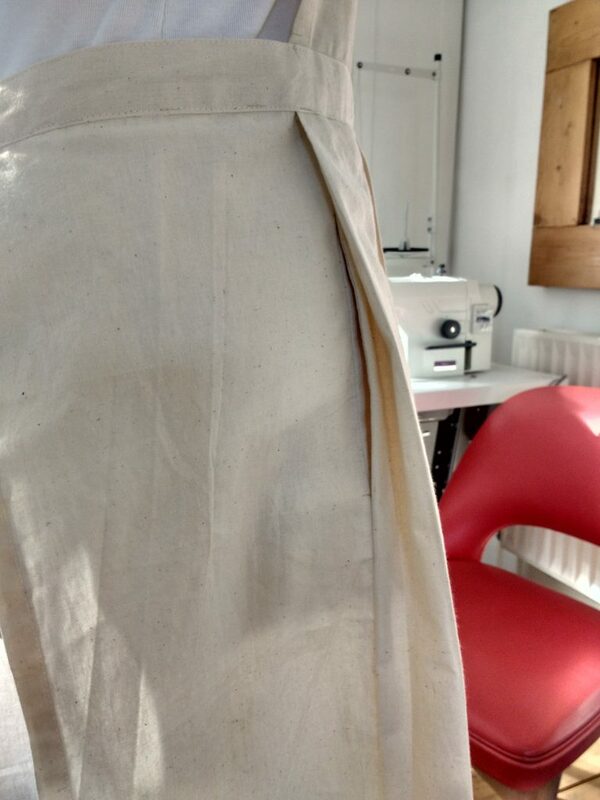 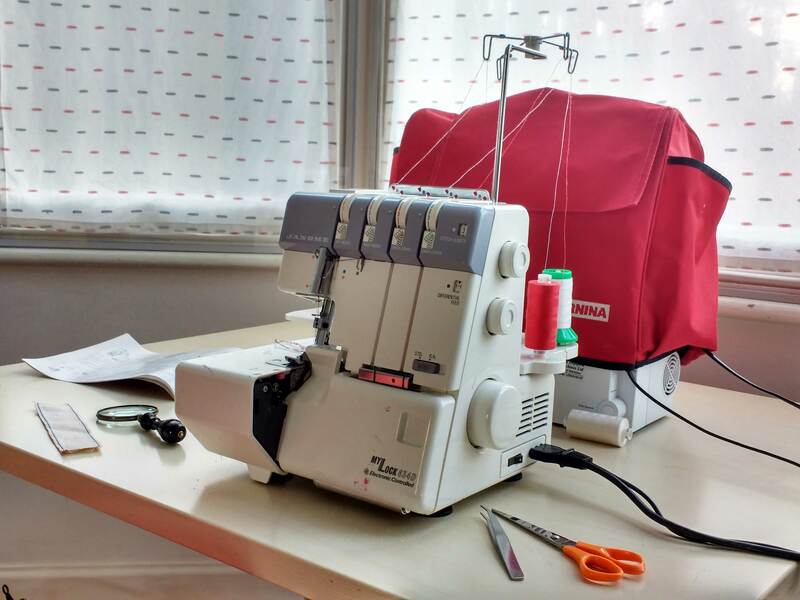 This entry was posted in New aprons, News, Studio posts and tagged apron, Aprons for Makers, Craft Sellers Apron, Etsy, Folksy, In The Making - aprons, Lisa Bennett, No14, Pinafore apron on July 20, 2018 by lisabenn. 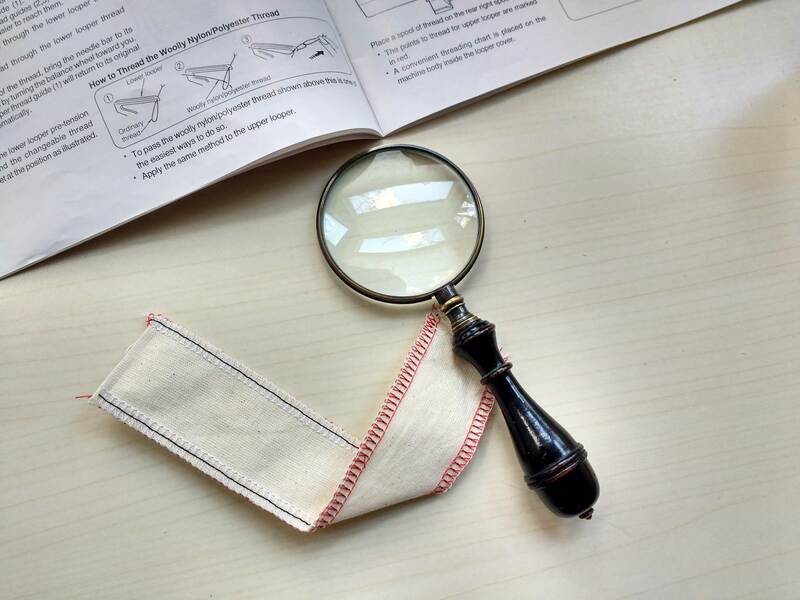 I’ve been meaning to visit William Gee haberdashery for ages. 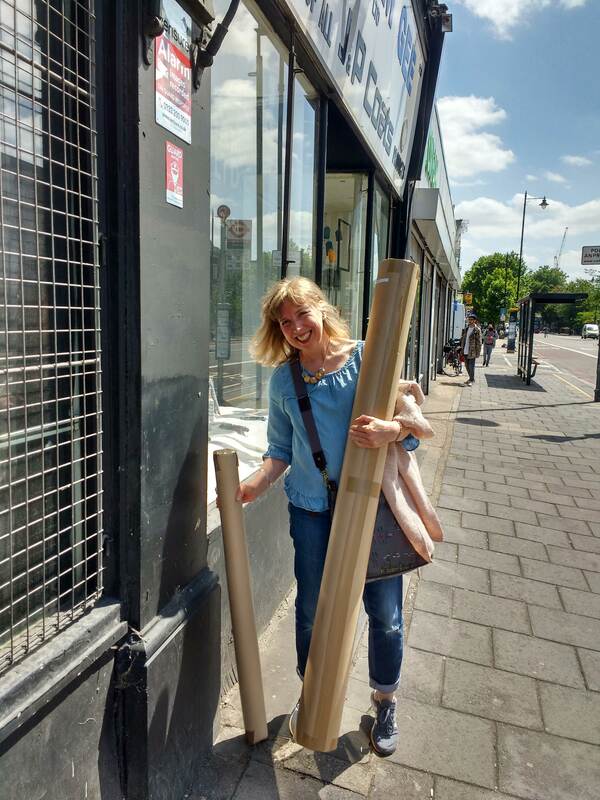 I made the trip to Dalston Junction on the Overground yesterday, with my friend Fran – thank goodness she came, I couldn’t possibly have carried both the rolls of dot & cross paper (very heavy) and manilla card by myself! 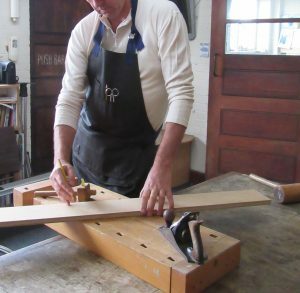 William Gee has a modern website full of fabulously useful stuff, so the antiquity of the shop interior was quite a surprise; with most of the stock behind the two long counters and you must ask the assistants for assistance! 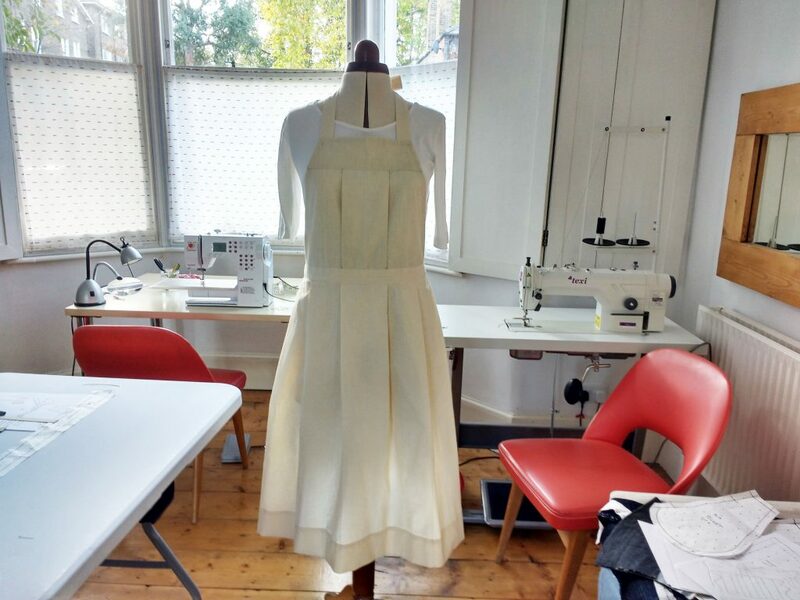 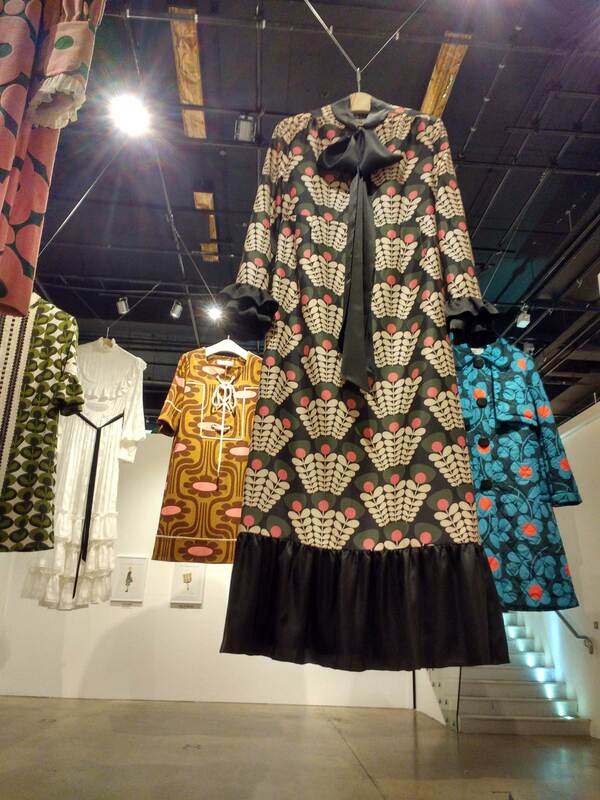 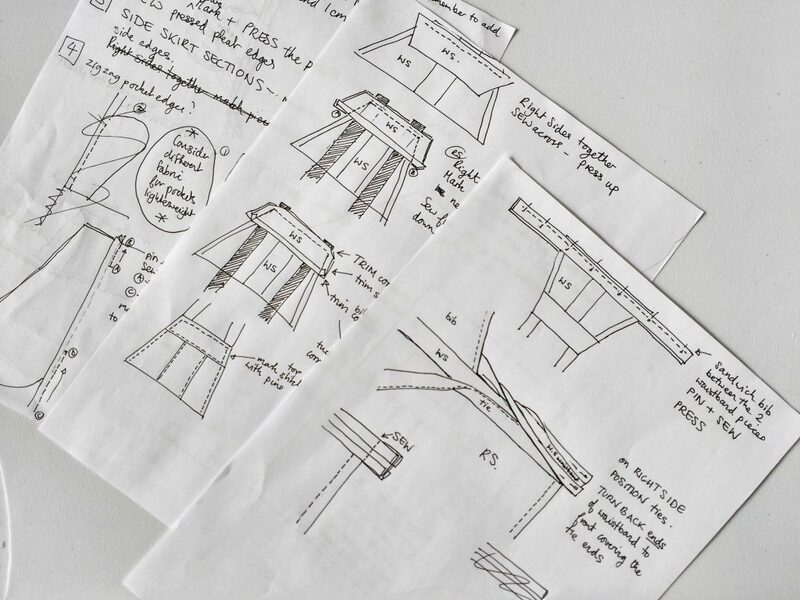 This entry was posted in Report, Studio posts and tagged Lisa Bennett, William Gee Haberdashery on June 15, 2018 by lisabenn. 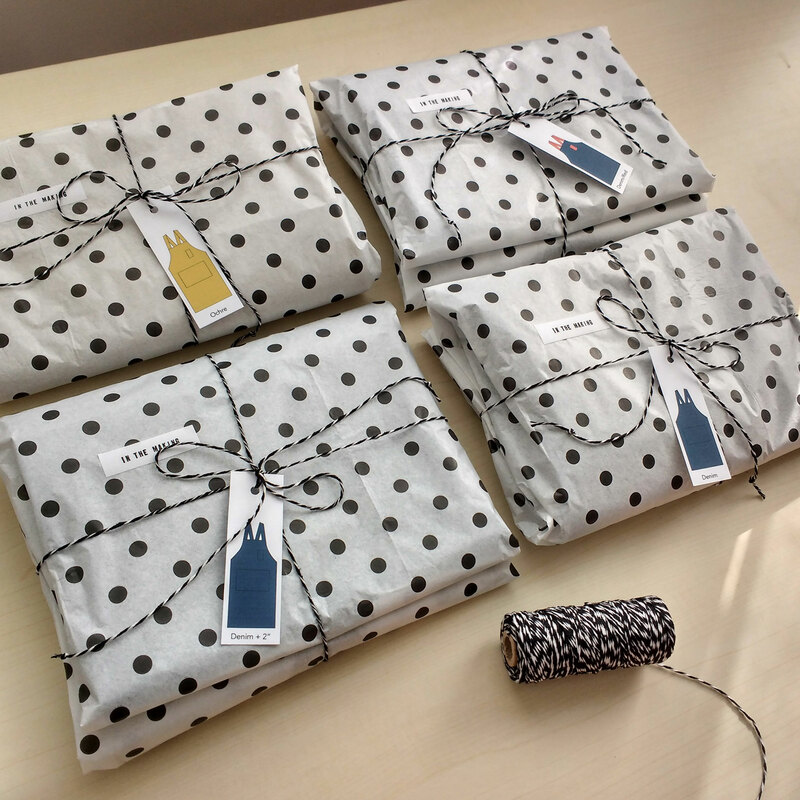 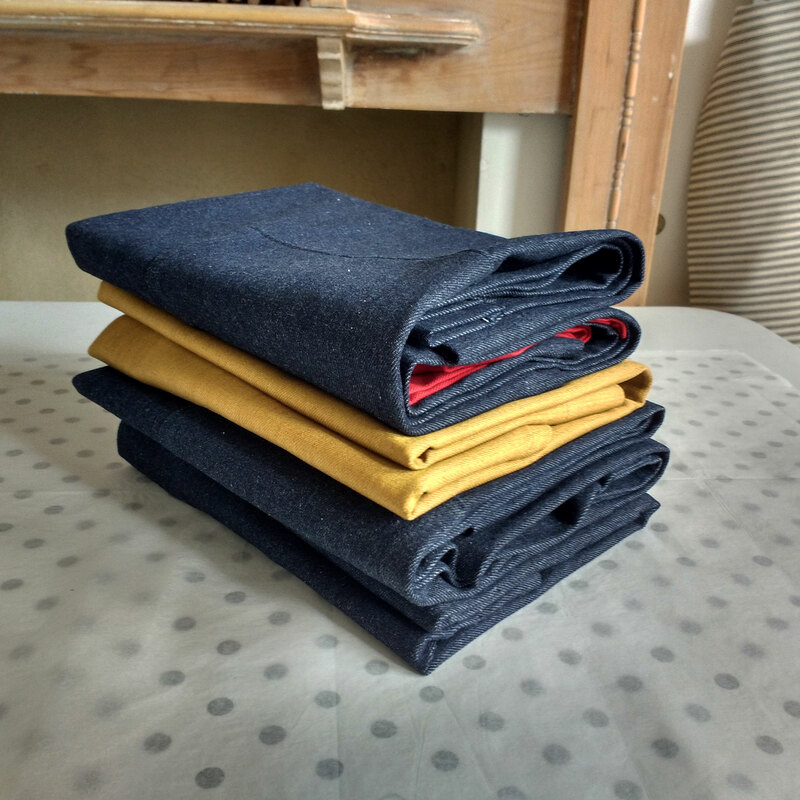 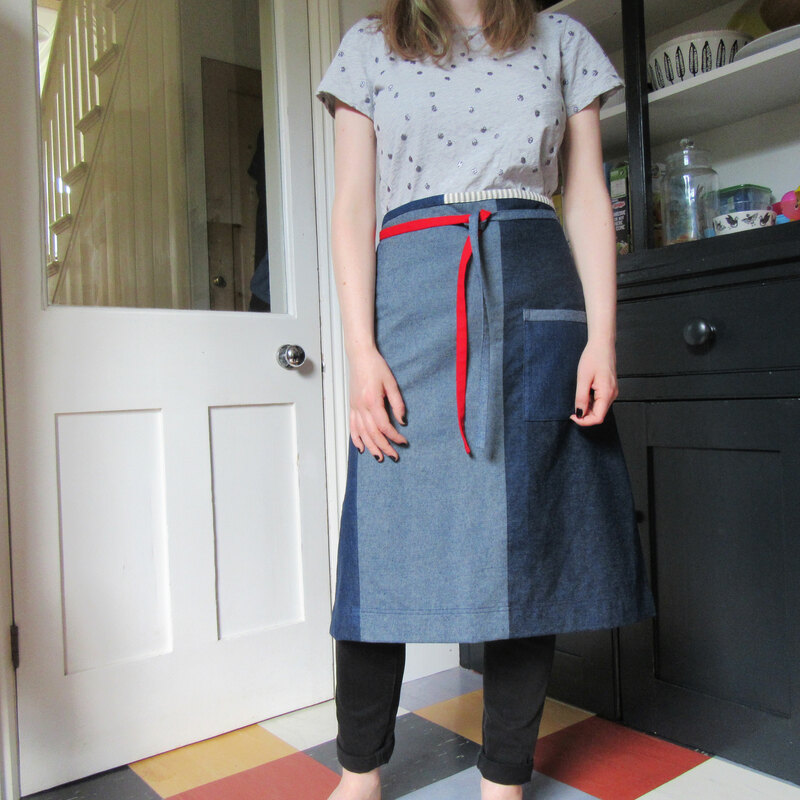 An order for four 4:3 aprons in ochre denim, blue denim and one blue denim with red straps (to go with the charcoal denim with red straps they ordered last week). 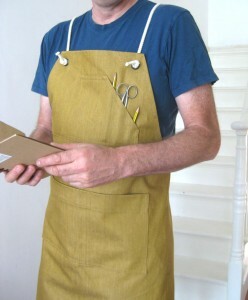 The aprons are for for an art conservators studio in central London. 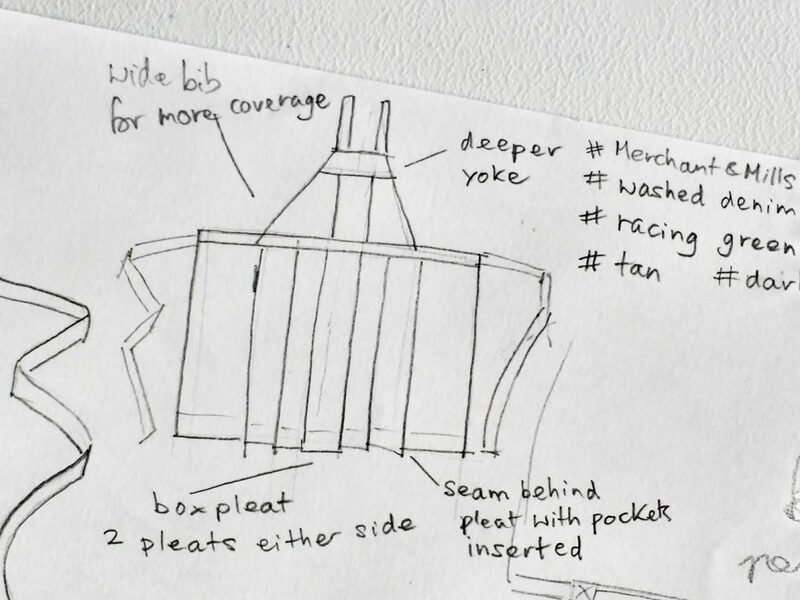 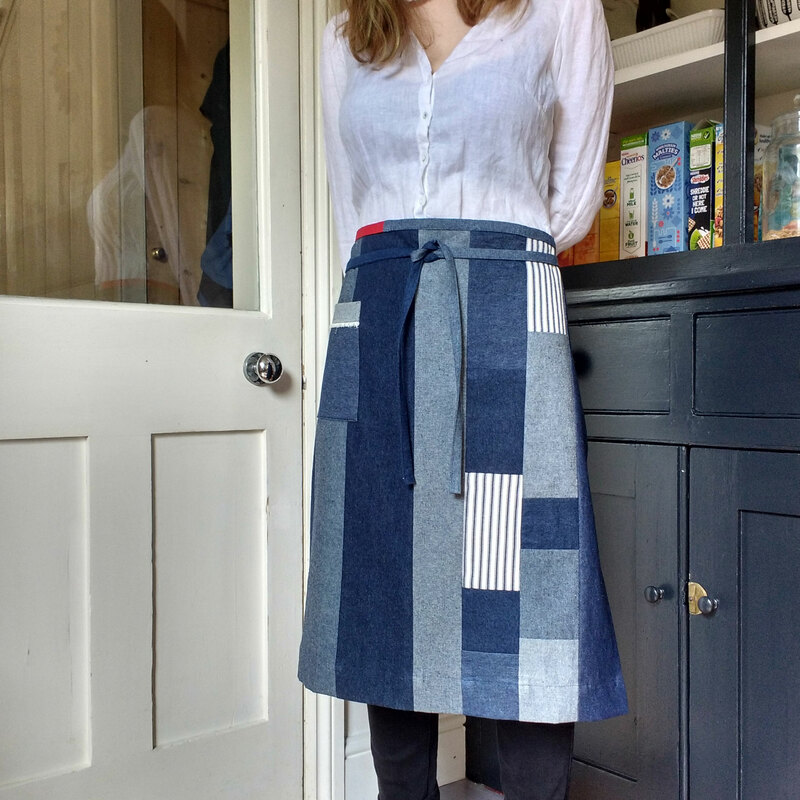 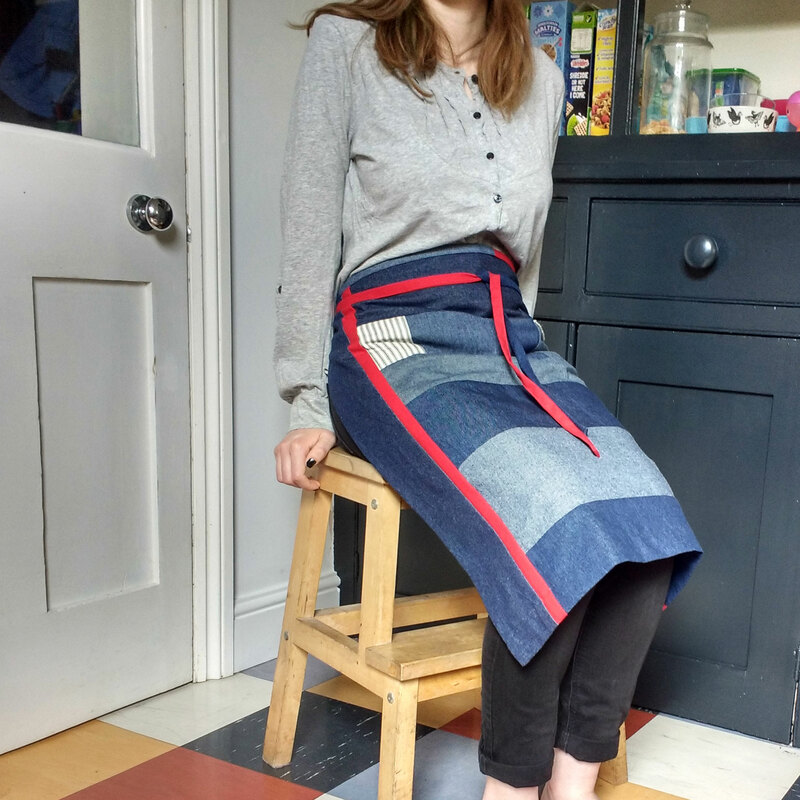 This entry was posted in Studio posts and tagged Aprons for Makers, Crossback apron, custom apron, denim apron, Etsy, In The Making - aprons, Lisa Bennett, No 4:3 on May 8, 2018 by lisabenn. 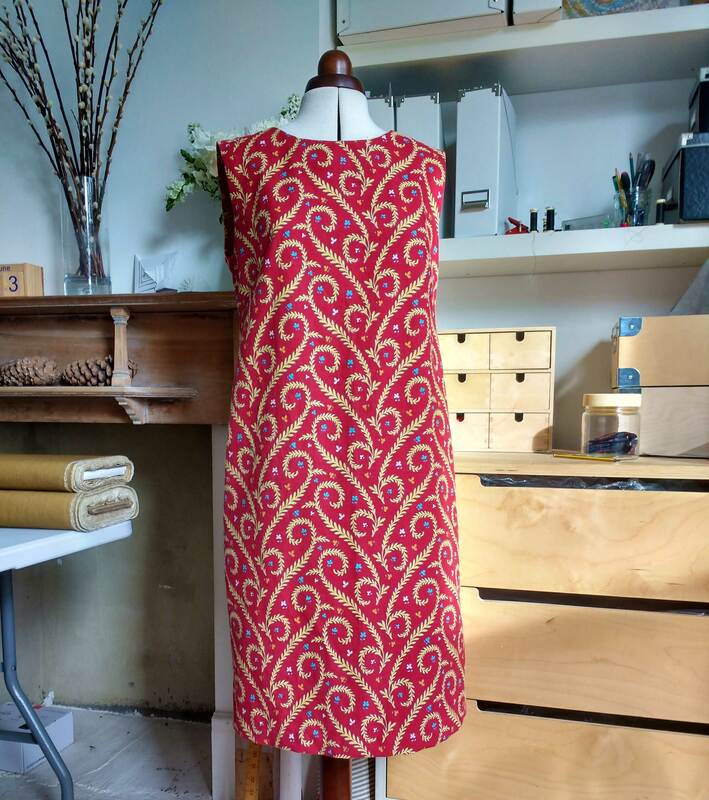 This entry was posted in Studio posts and tagged In The Making - aprons, Lisa Bennett, overlocker, Studio on February 6, 2018 by lisabenn.